Since Dave is a teacher and since I regularly talk about clutter-free gift ideas, I’ve received MANY emails over the years with questions regarding gifts for teachers. I don’t know if it’s simply because Dave is a teacher and I know how much time, effort, and energy they put into teaching their students every single day, but I have a soft spot in my heart for teachers. I’ve never been one to worry about a strict budget when gifting our teachers — of course, I don’t spend hundreds and hundreds of dollars on each teacher, but I’m much more willing to splurge on one of my children’s teachers than I am on any other non-family member. I figure they spend more time with my kids than I do during the week, so I want them to know how much they are appreciated by our entire family on a very regular basis (more than just Christmas, their birthday, and Teacher Appreciation Week for sure). 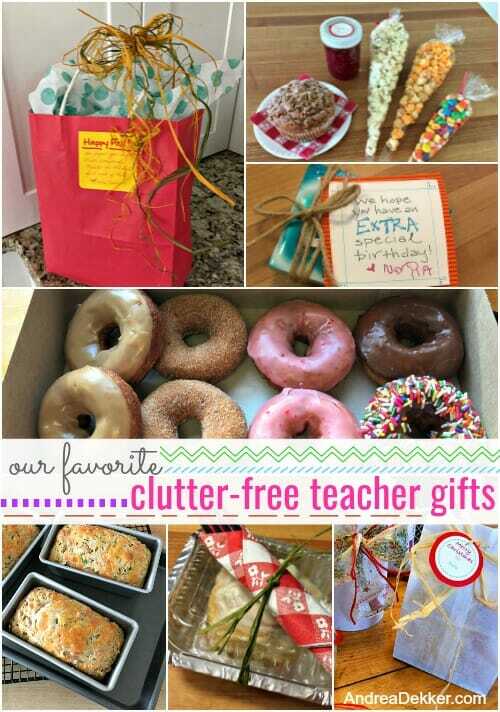 I realize teacher gifts aren’t something every parent is so passionate about… but if you’re looking for a few clutter-free teacher gift ideas, I think today’s post will help — hopefully with plenty of time to put something nice together before the holidays! So far, our “room parents” have always provided an opportunity for anyone in the class to contribute money towards a class gift. If you are low on gift funds, this is DEFINITELY the way to go. Your $5 contribution will go much further paired with everyone else’s contributions — which means the teacher can enjoy something more substantial than 20 Christmas ornament or an assortment of random $5 gift cards. Our room parents even offered the opportunity to send money via PayPal — which means no writing a check or sending cash with a small child, no shopping, no wrapping, etc.! Can you tell I’m a big fan of class gifts! Honestly, I’m pretty sure the teachers love them too! If we go in on the class gift, I usually wrap up something SUPER small (like chapstick, hand sanitizer, or a pack of gum) with our own personal note on it, just because our kids like to actually give the teachers something themselves. Yes, you know I’m a HUUUUUGE fan of giving gift cards as practical, clutter-free gifts. If you’re not sure what your teachers like, go with Amazon, Visa, MasterCard, or a large local grocery store. However, if you’re willing to put a little work into your gift card shopping, simply email the teacher and ask what he/she likes, where they like to eat, what stores they shop in, what their hobbies are, etc. Then go to those places and buy gift cards (or check if you can order them online). Done — a perfect gift you KNOW they will love and won’t collect dust in the bottom of their desk drawer for the next 5 years! 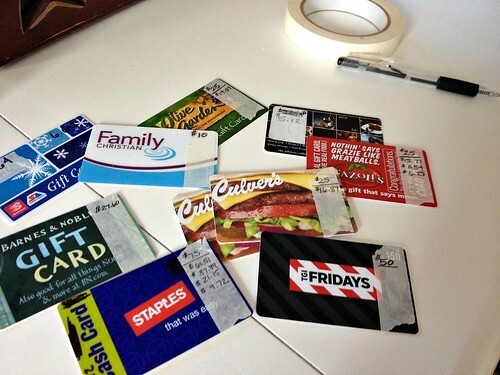 Here are a few creative ways to give gift cards. I’m always keeping my eyes and ears open for a teacher to mention a specific hobby, a favorite sports team or music group, or even just play on their classroom theme or the school theme for the year. 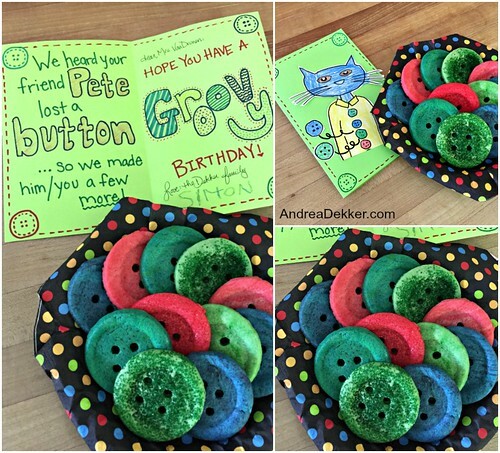 For example, Simon’s teacher has her entire room decked out in Pete The Cat posters, books, and other paraphernalia — so we made her a Pete The Cat card with Pete The Cat colored button cookies for her birthday last month. 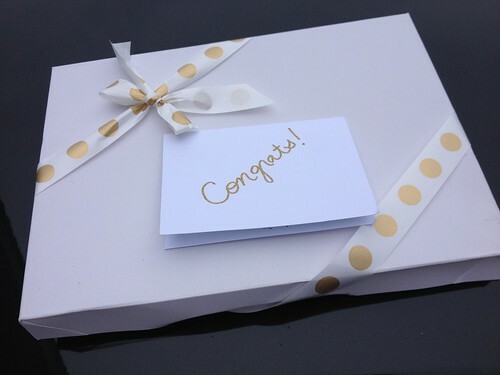 It was a very simple and inexpensive gift — I’m not even sure how fantastic the sugar cookies tasted with no frosting, but it was so fun to know we did something special for her that was very personalized. Most teachers have recess duty, hall duty, lunch duty, detention duty, lounge clean-up, etc. 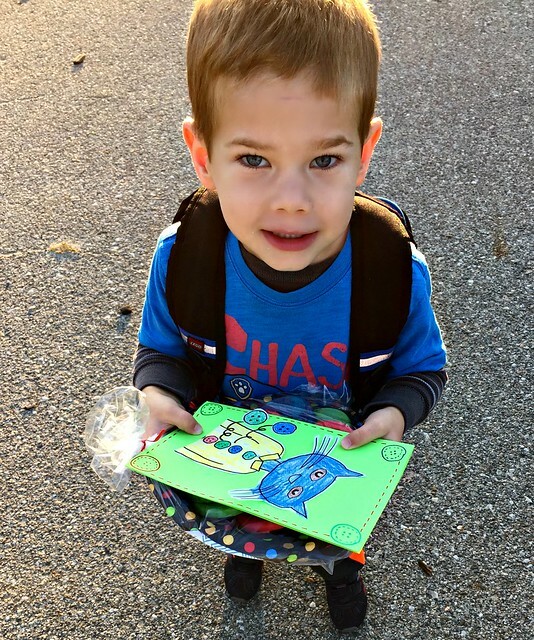 at some point each week, each month, or each semester… and in my experience, they are SO appreciative of any parent who is willing to take over one of these tasks for a day. They can then use the extra time to plan upcoming lessons, grade papers, organize their rooms, or get ready for the next day. I realize not all schools will allow parents to help in this way (we need to go through a background check at the beginning of the school year before we can help in the school) but it might be worth asking — especially if you have more time than money this year. 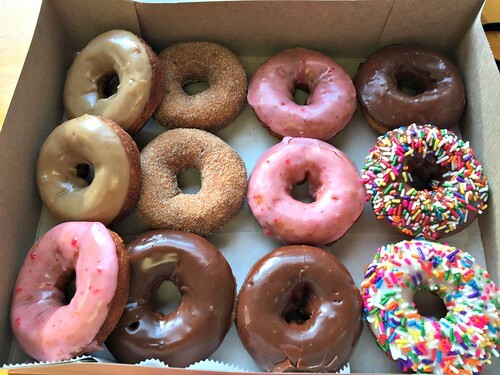 Since I really REALLY love to bake, I always send our teachers an email the first week of school asking if they have any food allergies, as well as requesting their favorite sweet treats, salty snacks, baked goods, candy, beverages, savory delights, etc. This way, I can randomly surprise them with special homemade (and store bought) treats all year long. The kids LOVE it when I put treats for their teachers in their backpacks with instructions to “give this to Mrs. _______ when you get to school.” They feel special, their teacher feels special, it’s minimal work for me, so yeah… it’s basically a win-win for everyone! If you don’t love baking, consider sending gourmet popcorn or nuts, a favorite candy bar, a giant Costco muffin wrapped up in cute cellophane, donuts from a local bakery, their favorite fruit, or even veggies and hummus (Nora’s teacher mentioned she likes veggies and hummus, so I’ve already gifted her with ready-to-eat veggies from our garden and a single-serving hummus container). This is also a really great (and frugal) way to give gifts to all the special teachers — Spanish, Computers, Music, Art, Library, P.E, Bus Driver, etc. Apparently our bus driver is our neighbor across the street — which I never realized until he came over to thank me for the cinnamon roll Nora gave him one morning as she got on the bus! Oh, and if you want to splurge, I would highly recommend the edible fruit/flower arrangements that are readily available in most cities. They are AMAZING, so tasty, and such a fun treat. They are pricey — but it might be worth the splurge for a fantastic teacher! 6. A kind email or note of thanks. 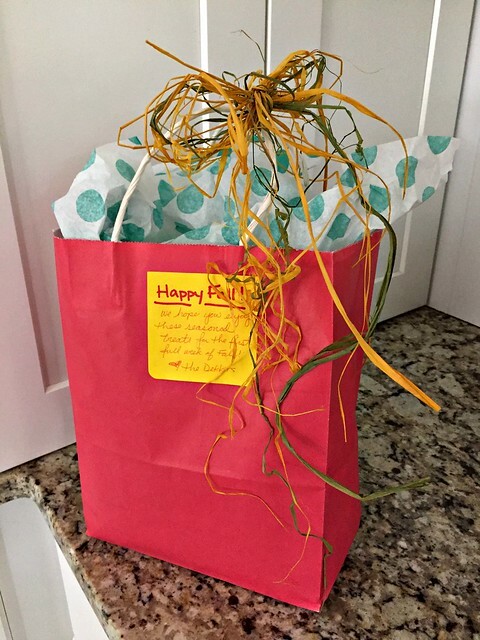 Even if you have zero budget and zero time to put into any sort of tangible gift for your children’s teachers, you can take 5 minutes to shoot them a kind and encouraging email or put a hand-written note of thanks in your child’s folder/backpack for the next day. Both Nora and Simon have always had a special folder they cart to and from school every day. Their teachers put anything we need to see in the folder, we check it, and send any requested or necessary information/papers back for the next day. It takes a minute and I’m sure it lightens and brightens the teachers day just a bit. Totally worth the effort in my opinion. However, Dave has gotten his fair share of food treats, gift cards, and thankful emails over the years — all of which have been much appreciated by Mr. High School A.P. Calculus teacher — so the ideas work for all age levels! 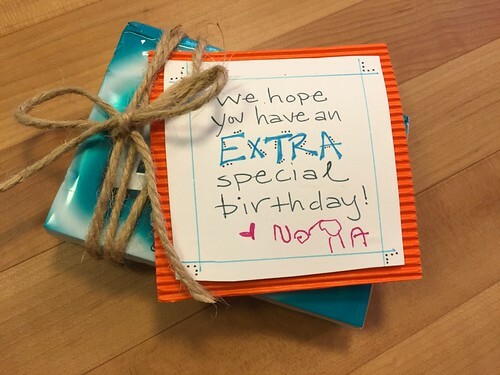 What are your favorite ways to gift the special teachers in your life? 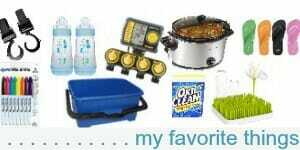 Thank you for your post on teacher gifts. With a husband who is a teacher, I’m sure you know none of us go into this for the salary or the gifts. Those of us who teach at Title 1 schools usually get few if any gifts at all. Teachers really appreciate any small gift . I was thrilled when someone gave me a McDonald’s coffee a few years ago — for real ! Small things mean so much to many of us. I’m a middle school teacher of over 15 years, and I’m going to share two of my favorite gifts from students over that time. Both of them were amazing because they showed that the family was thinking of what they could do to make things easier for the teachers. 1. 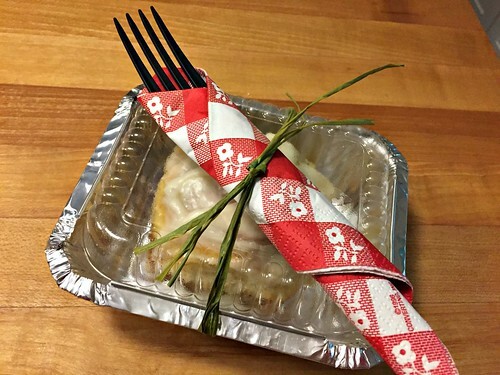 After staying late with a student to help with academics, a parent showed up to pick up their child with a bag in hand and the comment that they thought that they should buy the teachers dinner. (They did it for four of us.) In the bag was a grocery store prepared salad, an individually wrapped brownie and a bottle of water for each of us. It was thoughtful and so unexpected that it made me tear up a bit. I’ve never forgotten it. 2. A multi-pack of paper towels at winter break. I waited until all the students were gone for the day and then I ran up and down the halls with the paper towels gloating in front of all the other teachers. Talk about something that I really needed for my class and a family that really cared about what would help instead of look impressive. I now use a basket of cleaning supplies for my beginning or end of the year teacher gift and the dinner gift during the year. So easy, and always well received. thanks for sharing Leslie! I’ll keep these ideas in mind! Wow — thank YOU for teaching and pouring your heart and soul into kiddos for 33 years! As a middle school teacher, an email from a parent to say thank you for something specific (especially if they CC the principal) means THE WORLD. Don’t get me wrong, I love Starbucks cards too, but taking that five minutes out of your day to contact the teacher directly can seriously make someone’s whole day – especially at the secondary level, when we often only hear from parents when they’re angry! Oh! Also, if any of your school’s teachers have a DonorsChoose page, even a $5 donation to whatever their class project is can be such a great way to say thank you. good point — I’ll have to look if our teachers have anything like this set up. I agree with J. I do not eat food from other people’s homes unless I know the conditions of the homes. I can definitely understand this! One year we painted pots and planted flowers as an end of year teacher gift. I have also thought of doing the same with herbs but now my boys are too old for that! This wasn’t just for teachers but for many years we gave tree seedlings to classmates, teachers and other school employees. It is such fun to have people tell us how big their little trees have grown. High school teacher here, and please no homemade foods. Maybe I am paranoid but I normally don’t eat food where I am not sure of the cleanliness. Also, please no candles. So many candles! Hah! The best gifts? Gift cards and well-worded thank you notes about me sent to the principal or even superintendent. One year I got massage, sushi, and Starbucks gift cards and that was amazing in my book! Speaking of books, a lot of teachers like books so consider a bookstore gift card for a non food gift that will be appreciated. A lot of teachers like myself have small libraries in our room for students and those books tend to wander off, costing money for the teacher. Hope this helps! haha — Dave and all his teacher friends groan every time they get yet another Barnes and Noble gift card. 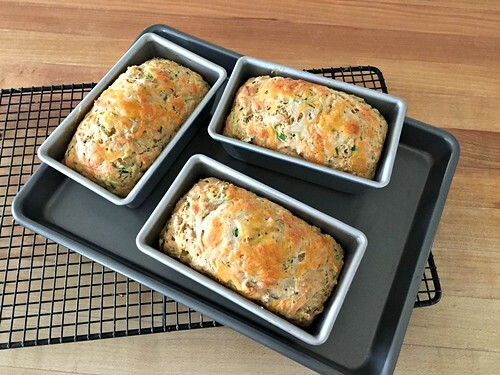 They would much prefer homemade food — I guess it’s just teacher preference, which is why I always email the teachers at the beginning of the year to see if they are OK with homemade foods. I like my sister’s idea of having each child choose a book to buy and donate to the school or classroom library in honor of their teacher. This is SUCH a good idea — I might do this for Christmas!! Thanks! This is a FANTASTIC post! 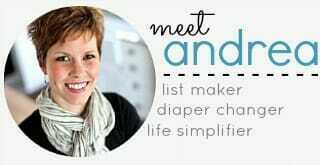 Thank you for sharing Andrea! Thank you so much for this post! I am a teacher and I approve of all your suggestions and those that have been in the comments. I do appreciate receiving actually gifts, just like everyone else, but I do love the heart felt cards of appreciation from parents. And I especially love it when the parents express their happiness with the principal! I’m pinning this blog post so we can get this out to all the parents! P.S. I’m sure you are talked about lovingly by all your children’s teachers. I would love to have you as a parent! oh good — glad you approve!! This made me think about a friends tradition. The year her first child started school, she invited the teacher to Christmas tea and the child helped serve. The next year it was first grade plus last years kindergarten teacher. So each year they invited all current and past teachers. She had four children and the tradition continued so nearly all the teachers in the whole school came. Seemed like a great event that everyone came to look forward to, including her whole family as well as the teachers. wow — so fun! It sounds like it could end up being a lot of work, but still fun for the kids and teachers! These are great! My 4th grader has her first male teacher this year so I’ve been racking my brain to figure out what he might want – food & gift cards will probably fit the bill! Thanks! we’ve never had a male teacher yet — but I’m sure food and gift cards will be appreciated by him!! My husband is also a teacher, and has taught both elementary and high school. 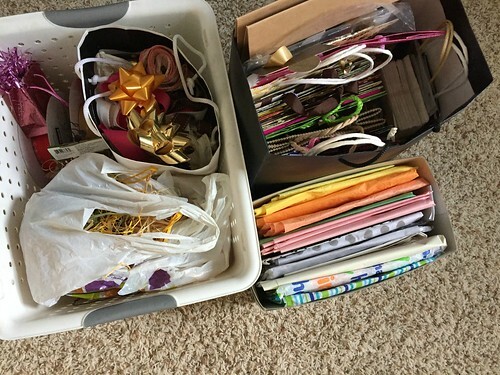 I have been amazed at the number of gifts he received as an elementary teacher, and equally amazed at the number of gifts he does NOT receive as a high school teacher! He certainly doesn’t do the job expecting gifts, but the occasional $5 Sonic or Starbucks gift cards were so appreciated when he taught elementary school…since he’s been back at the high school level, the thank-you’s are few and far between. I wonder what happens between 5th grade and 9th grade that causes parents & students to stop showering their teachers with appreciation? yeah… Dave doesn’t get all that many gifts — but always a variety of baked goods around Christmas time and a few gift cards throughout the year. He used to get TONS of gift cards when he was coaching 3 sports — but I’d rather have him home more now than all the gift cards! I think there are a few reasons that middle- and high school teachers may get fewer gifts. One is the larger number of teachers my kids have. But a bigger reason, at least for my teens, is that they don’t want to draw attention to themselves in that way and don’t want to look like they are seeking favors. So, it’s a much bigger deal (ordeal) with older kids to send something to school and ask them to hand over gifts when they’re not comfortable doing it. Of course that shouldn’t stop me from mailing them a gc, but I’ve rarely done that. Instead I encourage the kids to be polite and thankful, and try to always thank the teachers anytime I exchange emails with one of them. And I make a point of always donating a food item when the PTO provides a teacher appreciation lunch, dinner during conferences, etc. Sadly, that is much less than the gifts elementary school teachers receive. I agree, my two high schoolers don’t want to give gifts to their teachers because they don’t want to draw attention. Since kids have so many different teachers at the high school age, I often don’t even get to meet them all. If we can’t attend conferences (they’re offered for a very short amount of time at our HS), I send an email to all my kids’ teachers, thanking them for the work they do, asking if there are any concerns, and mentioning anything in particular that the kids have enjoyed in their classes, just to try to connect and express appreciation. For my elementary kiddos, we have a tradition of making peppermint bark and packaging it up really cute with a little thank you note. It’s a very frugal gift (even a $5 gift card per teacher exceeds our budget when you include the music, art, and gym teachers, etc., and we want to remember everyone.) And while I know some people will throw away a homemade gift (understandably), I personally know the majority of my kids’ teachers so I’m pretty sure they’re ok with our level of cleanliness. 🙂 For me, it’s more about the act of expressing appreciation, than the gift itself, and on a limited budget this works well. I also like to send cut flowers with the kids as much as possible…daffodils, irises and lilacs when they’re in bloom, hydrangeas in the fall. 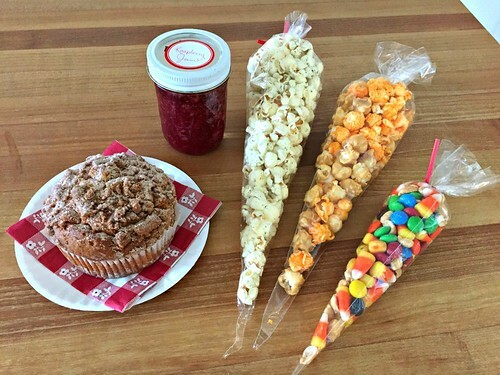 The kids sure do love to bring those fun treats to school, and I think it teaches them to be thoughtful and generous. love the cut flowers idea! I might have to use that this spring! One thing that is always appreciated is a good word with the principal. If your kiddo loves his/her teacher or the teacher did something great, let the principal know it. Principals often hear only the difficult things, so it brightens their day and boosts the teacher. Good addition to my list! I’ll have to add this one to my ideas too. I often thank the teachers, but never pass the praise onto the principal! Ooh, yes, I like doing this one too! I love to send thank-you emails (such as to the music teacher after a concert) and I like to cc the principal. That way he’s sure to see that positive feedback. Volunteering your time is almost always appreciated too, whether you can be a room parent or field trip chaperone, or just offer to do something from home if you don’t have free time during the day. One year I was the class “cutter”. The first grade teacher laminated lots of things, and she’d send sheets home in my son’s backpack, and I’d cut them out and send them back! Very simple, and saved her a lot of time. As the wife of a teacher, I second ALL of these! I don’t mean to sound ungrateful please no more mugs, Christmas ornaments, or gloves! The homemade/handmade gifts and the personal notes are truly the BEST. I’m a secondary teacher for 11-18 year old and also a mum of little ones just starting school so this is a great topic for me. My favourite gifts to receive are home made food items, garden plants or gift cards. I love to give my children’s teachers some baked goods – normally cookies or brownies plus something like some seeds or bulbs if I know they are gardeners or a fat quarter if they are a crafter. Neither of which has to be mega expensive. Oh, I love the “acts of service” one. It is so great to teach things like that to children. I had one mom buy and paint a “treasure chest”(wooden and plain–she decorated it with all of my favorite things)that I keep all of my treasures from my students in. She bought a seat pad for on top so it doubled as an Ottoman. One of my favorite gifts–hand-painted and so detailed! Starbucks gift cards and parents going in and giving cash into a pool of money was great! That’s how I bought a KitchenAid one year!! I used to also use that money to buy my clothes for the upcoming seasons. 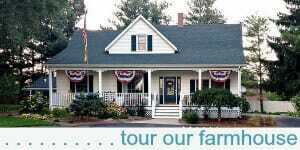 I taught on Long Island where the parents were very generous. One of my favorite things 2 students did was write a book: The Top 10 Reasons We Love You. It melted my heart!!! I also had a mom who would randomly make me muffins throughout the year–sooooo good and soooooo appreciated!!! When I taught in a country school where people didn’t have a lot of money, I was often given a handmade picture and note from the kids–so precious! I loved a chocolate bar and card given where my student spoiled me with his kind words. No matter the gift, something(picture, kind note, etc.) is better than nothing! As a teacher on the preschool level, I appreciate this post. Notes or words of appreciation are the best and cost zero. I always enjoy homemade gifts because I like to give those kinds of things but I know of some teachers that don’t eat homemade foods that come from a child’s home. (Some teachers are surprisingly germaphobic! LOL) So knowing your teacher is helpful in that regard. One family sent in a menu from a sandwich shop and asked their children’s teacher to pick out what they wanted for lunch on a certain day. On that day, they brought the lunches to us. Obviously, that may not work for everyone but it was a thoughtful gesture that was a bit more personal than a gift card but still less than $10 per teacher. Our school has a notebook with a page for each teacher which lists favorite foods, restaurants, stores, hobbies, etc. to help parents with gift shopping. Gift cards and things for the classroom are always appreciated. But from experience, I will say even the smallest gesture warms a teacher’s heart. Anything that shows a person they are thought of is a good thing! I’ve kept all photo cards received (Christmas) of students and their families over the years in a photo album. They are fun to look back on! I do always send the teacher an email at the beginning of the year asking if they are OK with homemade gifts or prefer not to get them. 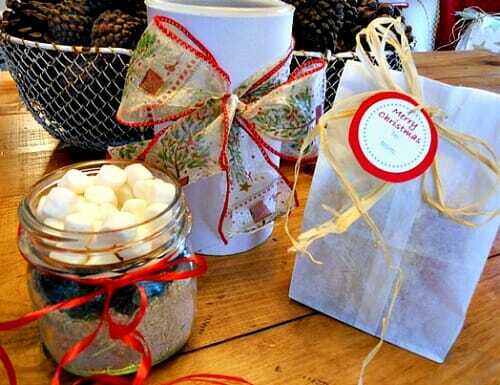 So far, all our teachers have been more than OK with homemade gifts — but that definitely IS something to consider!